Sometimes a film hits the festival circuit early, earns a lot of buzz, but then it takes forever for it to finally arrives in theaters so the rest of us can see it. 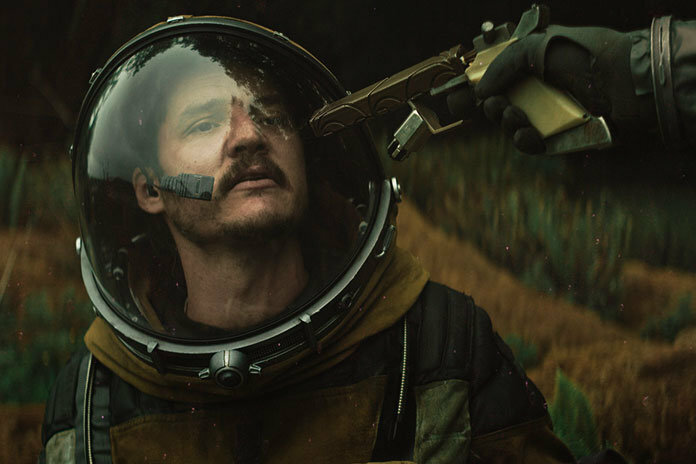 Such is the case with Prospect, a SXSW standout that has already earned comparisons to Duncan Jones's Moon for its use of practical effects and retro vibe. And those elements are certainly evident in the newly-released trailer, but what I'm digging is how seamless it appears to incorporate the look, style, and plot of an old school Western. Starring Pedro Pascal, Jay Duplass, Andre Royo, and newcomer Sophie Thatcher, the film follows a father and daughter pair who venture to a faraway planet in hopes of striking it rich prospecting for a new and valuable resource. Basically it's the Gold Rush interplanetary style, with Pascal as the deadly outlaw who makes their job considerably more difficult. Prospect was put together by writer/directors Zeek Earl and Christopher Caldwell, based on their short film. The grit of the Old West and the sleekness of sci-fi tech make for quite the combination, and I can see why this one has everyone excited. I'm excited, too. Prospect hits theaters November 2nd.